"...heightening concerns among air-safety experts that the "criminalization" of accidents will hurt efforts to address flight hazards. [...] The trial is the latest example of a world-wide trend to pursue criminal charges in airliner accidents, which many aviation experts worry threatens to erode safety by chilling early, open discussion of hazards. The fear is that the prospect of criminal liability discourages employees of airlines and aircraft makers from speaking out about dangerous incidents. Safety experts and organizations, including the International Civil Aviation Organization, several months ago began a counterattack emphasizing the negative fallout from criminal prosecutions. The ICAO, an arm of the United Nations, intends to call on governments to avoid the criminalization of mistakes and insulate air-safety investigators from judicial interference. 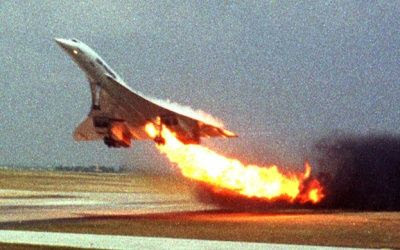 [...] The lengthy Concorde trial had symbolic importance for Continental, as well as for French political sensitivities. The carrier's French lawyer, Olivier Metzner, said on French television that the decision protected "national interests" because foreigners were found primarily responsible." Ah, yes, yet more feckless French perfidy.